Those who know me well know I like — even crave — fresh, unprocessed foods. In my line of work, however, I’m faced with far too many food demons (i.e. 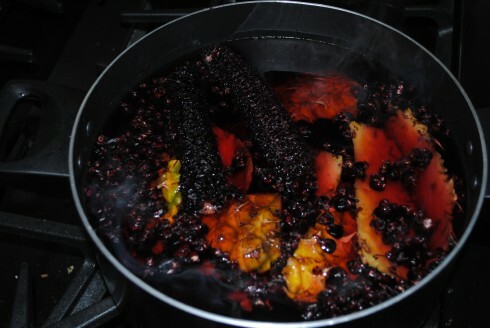 fatty foods, processed foods, foods fried in this and that). It’s beginning to look a lot like Christmas (sing it with me) every season. Loads of temptation. 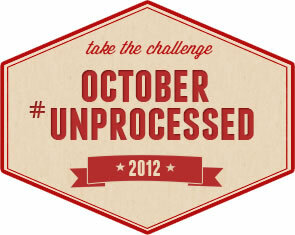 I spoke with said blogger, Andrew Wilder of eatingRULES, this morning about October #Unprocessed 2012. He’s encouraging people to begin their journey October 1, but not to beat themselves over the head should they miss the start date. If not October, choose a 30-day chunk of time whenever you’d like, he says. This is his third year staging the challenge. Folks at LA Times and the people behind Food Inc. caught wind of this year’s challenge. Check out his Google+ Hangout with LA times writer Rene Lynch. As Michael Pollan says, “Eat food, not too much, mostly plants. If you slip up, be gentle with yourself. You’re human — and wonderful. Who’s with me? Will you take the challenge? Let Andrew know on his blog.